Join Simon Allford and Roger Zogolovitch at Sir John Soane’s Museum to discuss 81-87 Weston Street, a contemporary mansion block designed for 21st century living in the heart of Southwark. 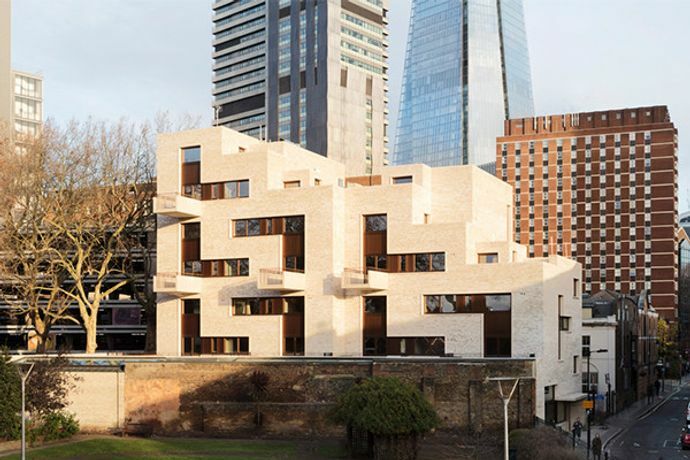 Recreating the informality of design development meetings between developer Zogolovitch (Solidspace) and architect Allford (Allford Hall Monaghan Morris), this talk brings the two together in conversation to explore how this carefully crafted building responds to and contributes to London’s vernacular. The talk will be chaired by Owen Hopkins, Senior Curator at Sir John Soane’s Museum, followed by a short Q&A and drinks reception. The evening will launch ‘Collected Volumes’ (Fifth Man), a new publication that tells the story of 81-87 Weston Street, featuring essays by Allford, Zogolovitch and writers Alan Powers, Hank Dittmar and Owen Hopkins. 81-87 Weston Street is the most recent iteration in a strand of thinking which has lasted almost fifteen years. Working within the constraints of urban brownfield plots and guided by a belief that, by placing volume at the centre of the design, living spaces which are modest in plan can become extraordinary in experience. Solidspace has explored split-section living across a range of building scales with a growing circle of architects. The building is the product of slow development, arrived at through an engaged and active dialogue between the commissioning client, Roger Zogolovitch and architect, Simon Allford. Ten years in the making has allowed the finished building to be crafted rather than constructed. Tickets include a copy of ‘Collected Volumes’, access to Sir John Soane’s Museum after hours and drinks reception.